Gabriel Sava; Stephen Quigley, Alan Byrne, Derek Prendergast, Shane Grimes; Graham Rusk (Cathal Brady 77), Michael Daly, Ryan Brennan, David Cassidy, Gavin Brennan; Declan O’Brien (Peter Hynes 79). Brendan Clarke; Ger O’Brien, Conor Kenna, Kenny Browne (Aidan Price HT), Ian Bermingham; Conan Byrne (Jake Kelly 65), Greg Bolger, John Russell, Killian Brennan, Chris Forrester (Christy Fagan 76); Anto Flood. 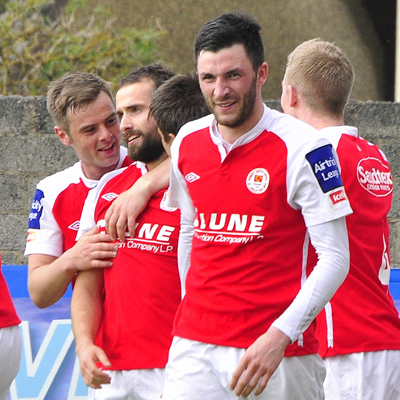 St Patrick's Athletic's ascent to the top of the Airtricity League Premier Division took another boost as Killian Brennan scored a penalty in the 92nd minute to break Drogheda hearts and secure a 2-1 win for the Saints. The Boynesiders had appeared to have salvaged a draw when Ryan Brennan netted in the 91st minute after the visitors had taken the lead in the 81st minute through Christy Fagan. To add to the frustration for the home side they missed a penalty on 71 after Killian Brennan attempted to control the ball in his box only for it to come up and hit his hand. Declan O'Brien stepped up and sent the ball to the left and wide. Mick Cooke made two changes from the side which drew 2-2 with Bohemians on Friday night and it was the hosts who had the first chance. Ryan Brennan showed no family sentiment in dispossessing his brother before eventually releasing Declan O'Brien and the striker's ball across the face of goal was just missed by Gavin Brennan at the far post. 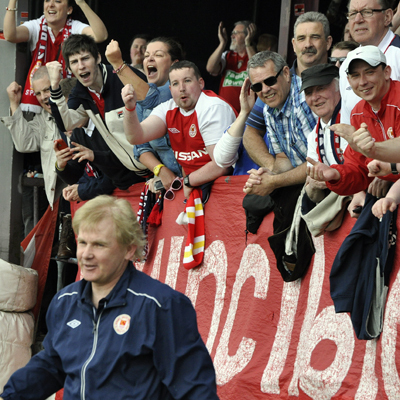 That was the closest the Boynesiders were to come in the first half as Pat's then took control. On five minutes Anto Flood almost benefitted from a short back pass from Stephen Quigley to Gabriel Sava, he latched on to the ball and attempted to dink it round the keeper but Sava just got a hand to the ball. Sava had his defence to thank on numerous occasions as his kicking left a lot to be desired and both Flood and Forrester benefited from poor clearances, but on both occasions Alan Byrne was back to clear the danger. Conan Byrne had two quick chances, but scuffed them both as David Cassidy was required late on in the first half to head the ball clear from a Kenny Browne headed shot. 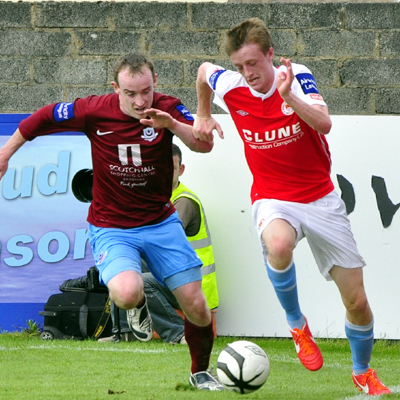 Drogheda will now have to pick themselves up for a Setanta Cup final on Saturday as the Inchicore side continue to march on.